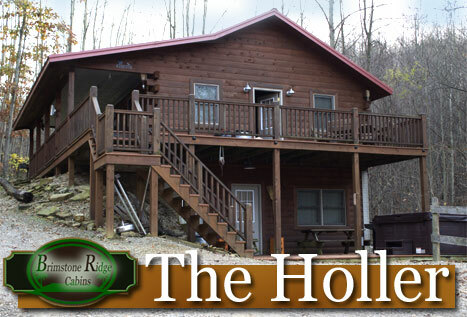 The Holler has 4 bedrooms, 2 large baths and sleeps 12. It is located in a holler between two natural springs and would have been the ideal place for a moonshine still back in the olden days. The setting is charming and secluded with over 100 private acres. It offers a full kitchen, gas log stove and a queen-size bed plus the extras like a hot tub. There is also central heat and air conditioning. 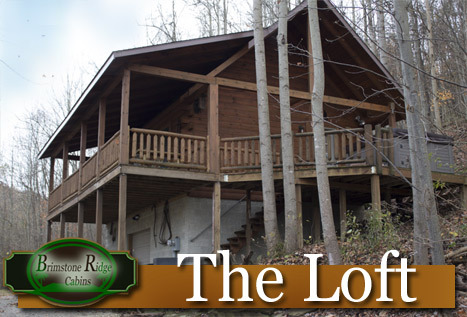 The Loft is nestled into the hillside with a large covered deck surrounding the front and one side for a wonderful view of the forest. Not only is the setting peaceful and secluded with over 100 private acres, but this Hocking Hills cabin offers the comforts of home like a full kitchen, large bath, gas log stove, loft, and a queen-size bed plus the extras like a hot tub. There is also central heat and air conditioning. 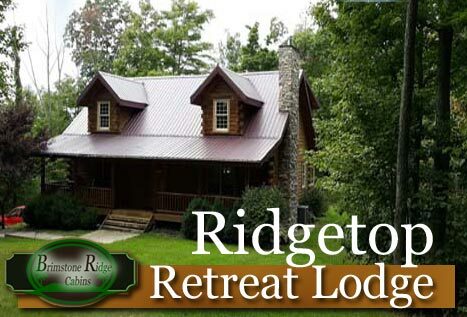 Ridgetop Retreat Lodge sits atop the ridge overlooking 100 acres of privately-owned land. The long driveway opens up to spacious grounds surrounding the cabin. The Lodge is suited for family gatherings or even a company's executive retreat. Abundant wildlife. Very secluded. Brimstone Ridge Cabins are a nature lovers paradise, tucked into a hillside and nestled on nearly 100 acres of secluded private property. Explore thick woodlands, rugged trails, breathtaking views and a beautiful pond by day. Relax in the hot tub on the large covered deck in the evening. Nearby are such attractions as Old Man's Cave , Tar Hollow State Park and Tecumseh Outdoor Drama. All of the cabins can be rented together for corporate retreats with a combined occupancy of 30. Large 3-sided shelter available for use. 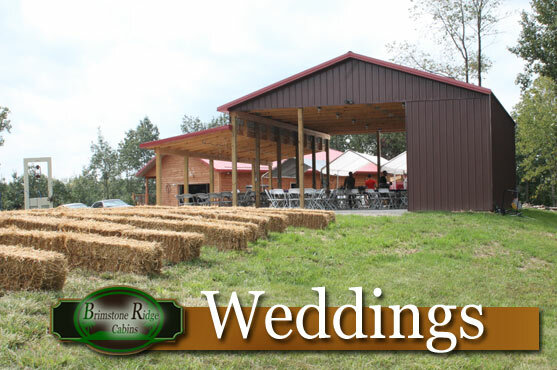 We can schedule a full outing, with zip lining, horseback riding, canoe trips or even local wine tasting trips. Antique and craft shopping trips also. We can book your whole trip for you! Copyright: Brimstone Ridge Cabins , 21 Crows/Heart of Hocking and subsidiaries.